Thirty-four (34) units consisting of eight (8) 1-bed 1-bath, four (4) 2-bed 1.5 bath; fourteen (14) 2-bed 1-bath, and eight (8) 3-bed 1.5 bath units. 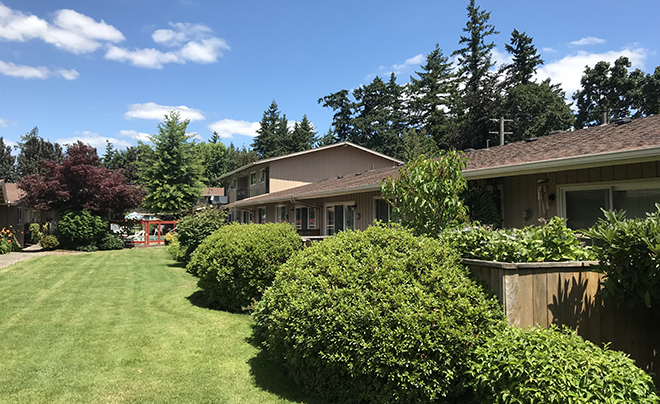 Fairmont Villa is a well-maintained property with a balanced unit mix located near Mall 205 in Portland's Gateway District. This low-density garden court provides off-street parking, garages, and an in-unit washer and dryer. The property has a newer exterior envelope, a swimming pool, and green space. Tenants also enjoy private patios. The community is convenient to both I-84 and I-205, providing easy access to major employers throughout the area.